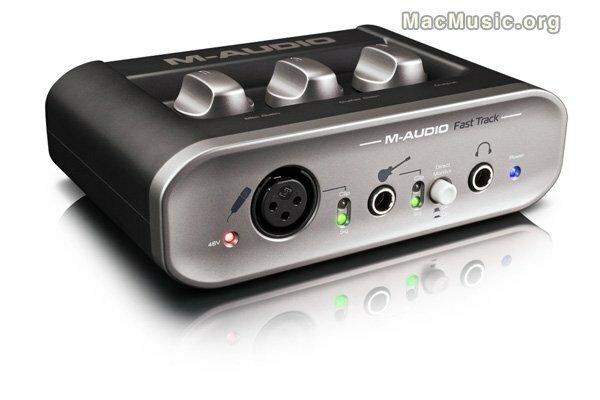 The M-Audio Fast Track interface has been completely redesigned to provide improved usability and lend a sleek new look to any desktop. Simply connect the unit to any computer via its USB 2.0 connection and use the upgraded preamps to capture any audio source in better than CD quality sound. Customers can record guitar and vocals at the same time, without any latency, and capture performances without the distraction of hearing delayed playback through headphone monitors. Additionally, they can use the onboard +48v phantom power to connect professional condenser microphones and add studio quality sound to any project. Compatible with most popular music recording applications, Fast Track provides professional results in a compact, portable package. Last but not least, this audio interface comes with Pro Tools M-Powered Essential. The new Fast Track is available now and carries an MSRP of $149.95.